After a public letter from farmers, the company has offered to reconsider the way its produce rating program responds to organic practices. It is no stretch to say that Whole Foods Markets has been essential to the viability of thousands of organic farms. With over 400 locations around the U.S., no other national chain buys produce directly from more organic farmers, many of whom have been working with the company since its early days. That’s why many farmers were surprised last year, when Whole Foods launched its own produce rating program, Responsibly Grown, and began rating conventionally grown produce over organic. Whole Foods’ rating program, which costs farmers between $100-5,000 a year to join, and aims to take a range of factors into account, but does not provide third-party verification like organic does, seemed to forsake the company’s historic devotion to its organic suppliers. Or this was the fear of five organic farmers, who wrote a public letter to John Mackey, the co-founder and co-chief executive of Whole Foods in late June. “Whole Foods has done so much to help educate consumers about the advantages of eating an organic diet. This new rating program undermines, to a great degree, that effort,” the authors wrote. After it received the letter, Whole Foods asked for a dialogue to discuss remedies for these concerns. Cathy Calfo, CEO of California Certified Organic Farmers (CCOF), one of the nation’s oldest organic certifying bodies, facilitated several weeks of good faith but urgent discussion between the farmers and Whole Foods’ management aimed at improving the program. Now, Whole Foods has taken steps to respond to farmers’ concerns. Today, the company announced a set of changes to the “Responsibly Grown” program designed to address the farmers’ complaints. In the joint announcement, both organizations affirmed Whole Foods’ support for recognizing the “leading achievements of organic agriculture. They also called for unity on, “the importance of addressing relevant issues in agriculture that affect human health and the environment.” The specific changes include allowing current organic vendors to suspend enrollment efforts until the end of this year, immediately relieving pressure for many small and medium sized producers. In the meantime, all certified organic producers will automatically be granted a “Good” rating. Whole Foods also announced its intention to review the scoring system with CCOF to seek more points in favor of organic production, while committing to expanded dialogue about the program with vendors and other stakeholders. The farmers’ letter had objected to the way organic produce was being treated, saying it was often scored too low, and labeled in a confusing way. 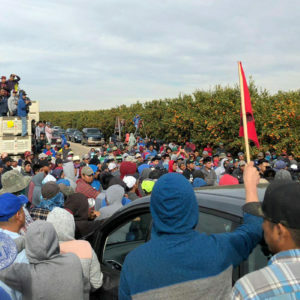 They also objected to the process by which growers were being added into the Responsibly Grown system, saying it was often too rushed, and unfair to small operators. Whole Foods has responded to each of those areas, with some changes effective immediately and others to evolve in the near future. Grower meetings and perhaps other forums are expected to be part of the continuing process. I joined the dialogue between the five farmers and the Whole Foods’ Responsibly Grown team over the past few weeks. I served as a volunteer adviser to all the parties, and somewhat of an expert in the organic rules and sustainable scoring systems. I also tried to be a process observer for the group, but I was not a disinterested one. As a farmer and CCOF member since 1984, I have a stake not only in the implications for my farming partnership, but also strong working and personal relationships with key individuals in both groups. Beyond all that, I had strong concerns about the consequences of this conflict for the organic community. Would the long-term bonds be fractured beyond repair? 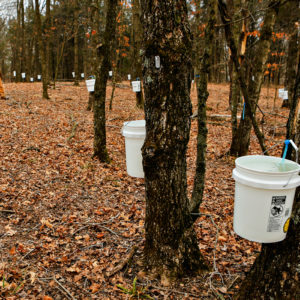 Would organic agriculture have to prove its value yet again? 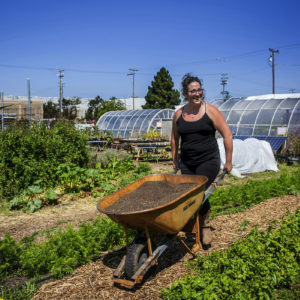 Could the outcome constructively help organic growers become more sustainable in ways that are not outlined in organic certification, such as labor and energy efficiency? The good news is that the historic affinities have been strengthened and the broader achievements of organic farming are being reaffirmed. Whole Foods can continue to work to “raise the bar” for those things that organic certification does not necessarily encompass. This episode also provides a positive example for how to address conflicts where parties have similar goals, but different approaches to meeting them. “Win-win” is a cliché phrase, but the sustainable-food family desperately needs to find such solutions. Everyone working for safer, healthier, smaller, fairer agriculture needs to be able to compromise with each other to advance our overall interests and values together. It’s important that organic farming has been brought back to the center of the “responsible farming” discussions. The success of certified organic agriculture (as imperfect as it may be), is the reason we can even debate how to best embody and reward sustainable growing practices within today’s ruthless market system. Organic is not passé. It is not just the “floor” of values-based food marketing. It is the foundation, the bone marrow, the humus-building loam of environmental and social sustainability in the agricultural economy. 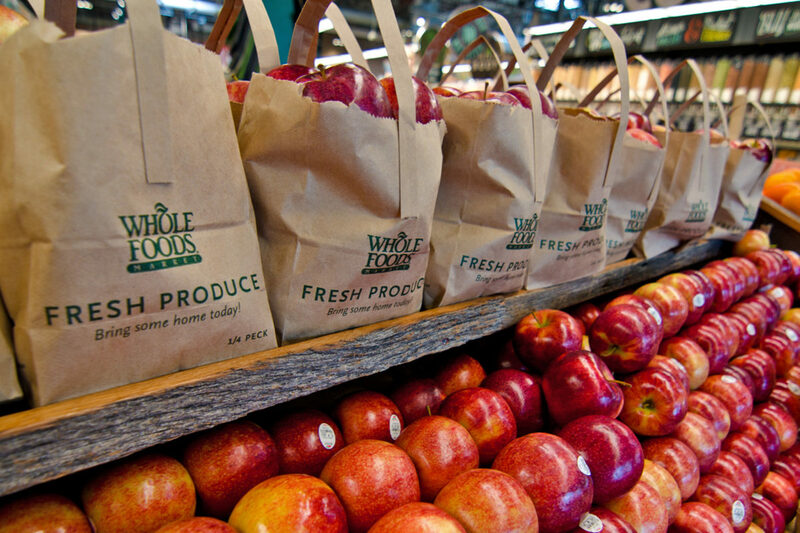 Whole Foods has a history of supporting—and being supported by organic farmers. It can rightly claim that history in asking for the benefit of the doubt in getting Responsibly Grown right. But it can and should be held accountable to that history in how they proceed from here. There’s a lot that everyone in the sustainable food chain can improve, and today Whole Foods, CCOF, and a few courageous, grizzled farmers should give us some hope that it’s possible to do just that. An abbreviated version of this post also appears on the CCOF blog. The new Responsibly Grown rating scheme by Whole Foods left me less trustworthy of the company. Reading this new article has not helped redeem my trust I once had. Some organic farmers may be happier - I'm not. As a WF customer we pay a premium for organic food & we need to trust the company to deliver what they have been doing so well up until the new rating system. Mark--Well said. You're so wise, and I'm really glad you're in the conversation. We've (Red Tomato) worked with some small, non-organic growers in the northeast to complete their WF ratings. From the perspective of dedicated, sustainable growers who have chosen for a variety of reasons not to be certified organic, it's gratifying to finally have someone recognize the many other ways they are making hard but conscientious choices to farm ecologically. For a local family farm that works hard to do things right, getting a Best rating was huge, and from our knowledge of their farming practices, well deserved. It's not perfect, but we think WF is genuinely working hard to get it right. Thanks for doing the hard work to find a way forward.